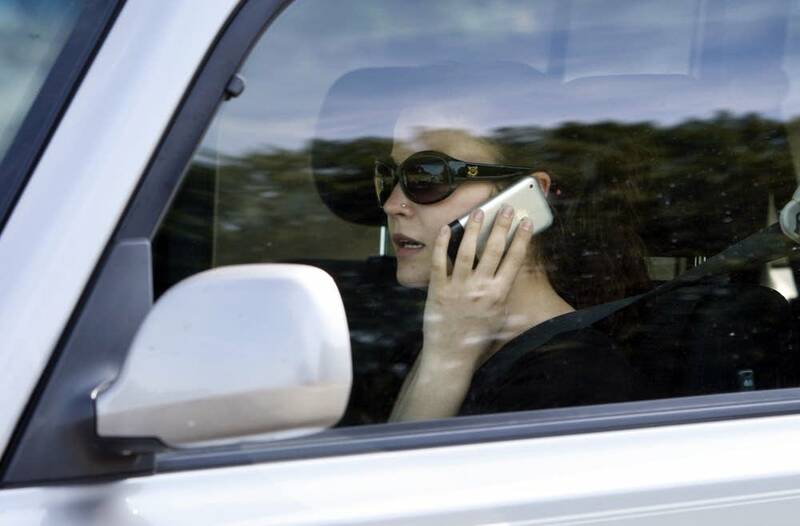 The Minnesota Senate Monday passed its version of a hands-free requirement for drivers looking to make a call. The vote sends the bill into final negotiations with the House, which approved a different version last week. There is still a big hurdle ahead for the cellphone bill as House and Senate supporters meet to work through differences. But the momentum is clear after years of dashed hopes, and Gov. Tim Walz has said he looks forward to signing a hands-free bill in the weeks ahead. Relatives of people killed in distracted-driving crashes applauded when the 56-10 Senate vote was announced. Greg Tikalsky has been active in the debate on behalf of his father, Joe, who was fatally struck while retrieving his newspaper a few years ago. The woman at the wheel was texting at the time. "A number of these families have waited for eight, nine, 10 years for some form of justice," he said. "And we believe that this is clearly a step for justice for many of these families." Sen. Scott Newman, R-Hutchinson, said the statistics are undeniable: More crashes caused by phone-distracted drivers are happening — many leading to serious injury or death. "We have to do something about what is happening on our highways," said Newman, the bill's sponsor. "The people that we are sharing our highways with we are putting in danger because we refuse to put our phone down." If the bill is signed into law, Minnesota would join at least 17 states that have taken similar steps, with more considering it this year. The Minnesota ban would take effect in August and carry fines of $50 for a first violation and $300 for subsequent offenses. Several Minnesota lawmakers described their own conversions on the topic, having gone from skeptic to supporter. Sen. David Senjem, R-Rochester, said he was initially doubtful about the need for a law that could ensnare many Minnesotans. Then a mother and daughter from his area were killed. Rachel and Emerson Harberts were hit by last fall by a driver in a Hummer who was texting. The man rammed into the back of their stopped car, also injuring Rachel's son. "My epiphany moment on all this as I stood in front of the two open caskets at the funeral home in Rochester," Senjem said. Senjem said he can still picture Emerson in her casket with golden locks formed into pigtails. That's when he decided he would back a hand-held phone ban for drivers. "We can learn to be different. I've learned to be different. That's not to say two weeks from now I may be a violator. I may be picked up. That's OK. I'll pay my fine. There's consequences," he said. "But we have to educate Minnesotans that this is wrong." Sen. Dan Hall, R-Burnsville, said he's usually swayed by arguments of personal liberty, but he sees it differently on this one. "I don't like the way this is taking away my freedom," Hall said. "But it needs to be done for the sake of so many who are dying because others are being selfish." "There's no balance or reasonableness or difference between rural areas and heavily populated areas with lots of traffic," said Sen. Torrey Westrom, R-Elbow Lake. There are other dangerous distractions that aren't dealt with by the bill, said Sen. David Tomassoni, DFL-Chisholm. "How is it different from somebody's pet sitting on their lap, or me reaching over to turn my radio on or off, or drinking a cup of coffee or maybe looking in the back seat to see what the kids are doing?" said Tomassoni. One key difference between the House and Senate bills is whether a phone could be held to operate a navigation or GPS system. The Senate version allows it; the House would require that also be done through a hands-free method. And the Senate made one more significant change to its bill. Sen. Bobby Joe Champion, DFL-Minneapolis, successfully pushed to make it acceptable to hold a phone firmly in place with a hijab, scarf or another item of clothing. "Any person who is using a scarf and they are operating hands free — because that's what it says 'hands-free mode' — by using a scarf in order to hold a phone would not be a violation because both hands would be on the steering wheel," he said, adding that it would help defuse concerns of racial profiling, since police wouldn't need to spot another infraction to stop a motorist. MPR News reporter Briana Bierschbach contributed to this report. Brian Bakst covers politics for MPR News.